Toyota Supra Is Back | A Wheel Thing. A Legend Returns: Toyota Supra Is Back. One of the automotive world’s worst kept secrets was finally let into the public domain today. The Toyota Supra is back in the automotive spotlight and harks back to history with its classic straight six engine up front driving the rear wheels. Dubbed the GR Supra, it’s due to land in Australia in late 2019. The fifth generation platform packs a 250kW/500Nm, twin-scroll turbocharged, six cylinder engine of 3.0L capacity. 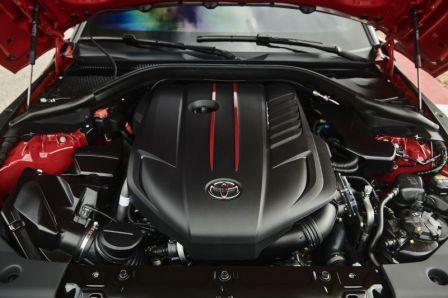 Power hits the tarmac via Toyota’s eight speed automatic gearbox. Toyota’s Gazoo Racing section has been brought in to work on the cars which are all to be built in Graz, Austria. Testing was held at the Nürburgring Nordschleife and included a session with Toyota’s own president, Akio Toyoda. Launch Control sees a zero to one hundred time of 4.3 seconds. The driver can take control of gear changes using paddle shifts on the steering wheel and can select Normal or Sport driving modes to suit their preference and the conditions. The vehicle stability control has a special “track” setting that can be selected, reducing the level of system intervention so the driver has greater control of the vehicle’s dynamic performance. Design cues from Toyota’s heritage are evident in the sheetmetal. The S2000‘s long bonnet inside a compact body shape, with the distinctive “double bubble” roof is complemented by the fourth generation’s broad rear flanks and rear spoiler. Toyota’s penchant for pet names is here, with chief designer Nobuo Nakamura giving his team a simple brief around the concept of “Condensed Extreme“, ensuring they were free to express their vision of a pure and individual sports car in a truly original design. There are three distinct elements to the GR Supra’s look: a short wheelbase, large wheels and wide stance; a taut, two-seat cabin; and a long bonnet with a compact body that reflects the drivetrain combination of in-line six engine and rear-wheel drive. All are embodied by the “Condensed Extreme” ethos. And although bigger than the two door 86 coupe, it’s a shorter wheelbase and rolls on bigger rubber. The driver and passenger are facing a distinctively designed cabin with a cockpit taking cues from a single seat race car. 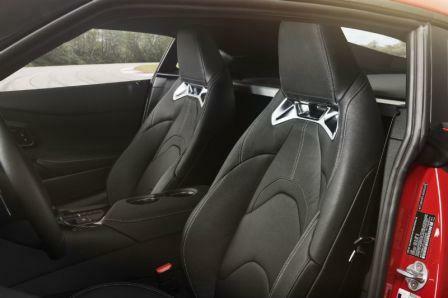 The seats themselves are race influenced, with thick bolsters for extra side support, holding the driver and passenger snugly. 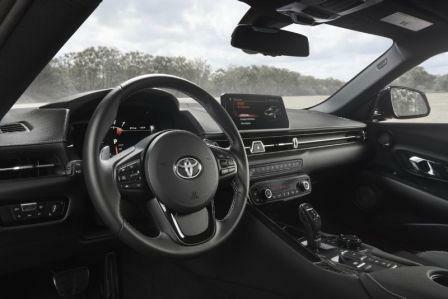 The dashboard is a low slung affair, allowing excellent forward vision, with the asymmetric centre console marking a clear division between the enveloping driver’s cockpit and the more open passenger side of the Toyota GR Supra’s cabin. 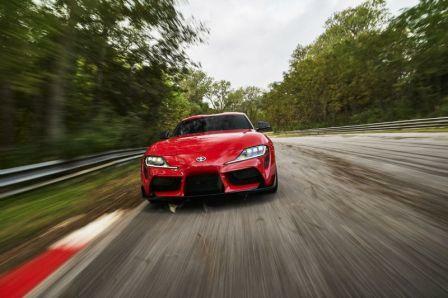 Toyota’s engineering teams have worked to give the GR Supra a superlative ride and handling package. Structural rigidity is said to be higher than the Lexus LFA supercar, with a centre of gravity lower than the 86 and a 50:50 weight distribution, with the movement of the engine rearwards to achieve that figure, contributing to the end result. A newly designed suspension frame has a five-link rear end matched by a double-joint spring MacPherson front. Unsprung weight is helped by using aluminuim for the control arms and swivel bearings. Each corner has 19 inch forged alloys wrapping high-performance stoppers. Every Supra that will be sold in Australia will have an active differential for even better handling. Pricing for Australia is yet to be confirmed. 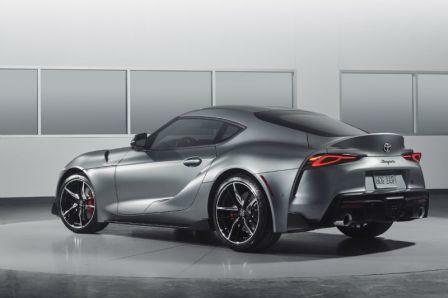 Contact your Toyota dealer for details of the forthcoming 2020 Toyota GR Supra. 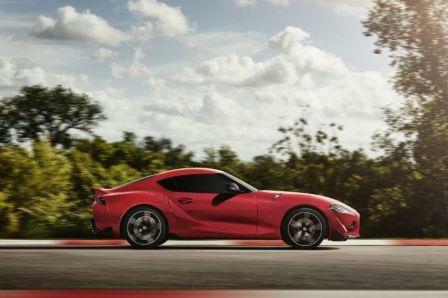 Be the first to comment on "A Legend Returns: Toyota Supra Is Back."